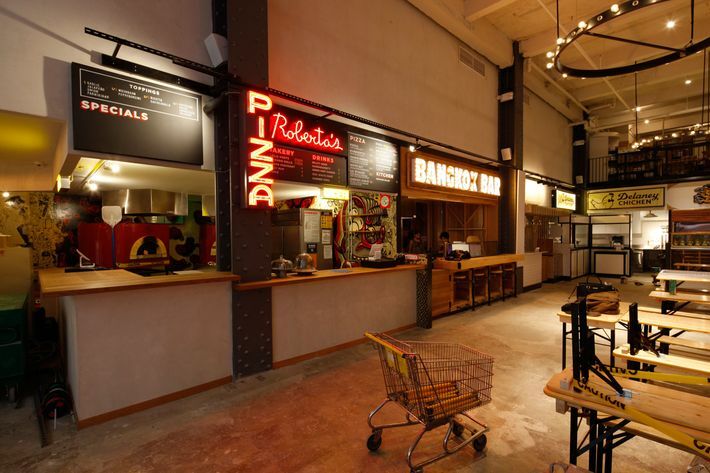 With Gotham West Market, City Kitchen, and the Plaza Food Hall, there’s no shortage of midtown food marketplaces. But UrbanSpace — the same company behind wildly popular Mad. Sq. Eats — has assembled a stellar lineup for its first permanent venture, UrbanSpace Vanderbilt. Amali Mou: a modern Greek restaurant that specializes in housemade gyros, mezes, and salads, and will serve Greek wines. A.B. 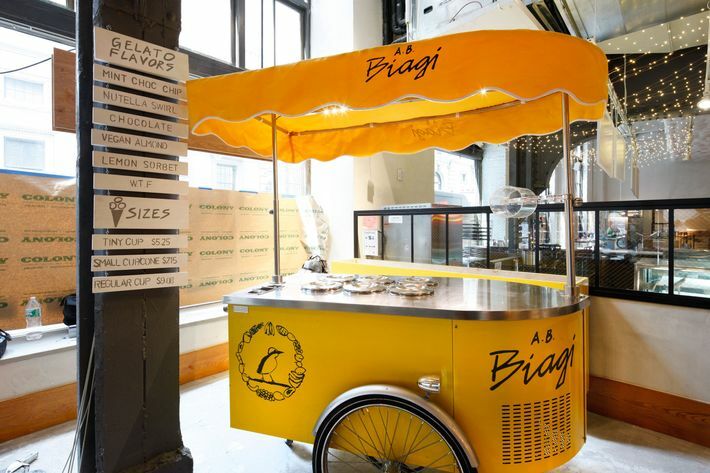 Biagi: a second location of the Nolita gelato shop, which offers Brazilian flavors as well as vegan options. Asiadog: hot dogs with Asian-inspired toppings, like Japanese curry and kimchee apples. Bangkok B.A.R. : a Thai street-food spot that will serve original family recipes. Bar Suzette: the Chelsea Market–based crêperie, which has added a delicious-sounding “French-onion-soup crepe” to its menu. 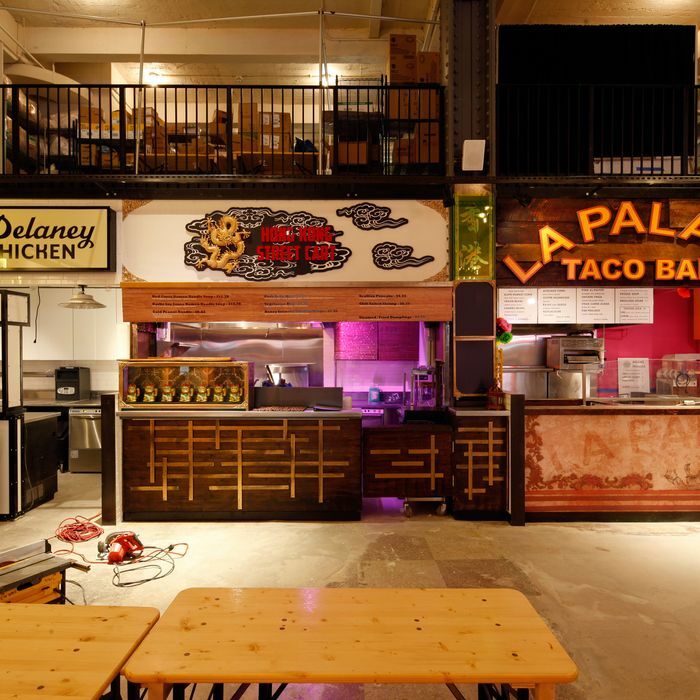 Delaney Chicken: BrisketTown’s Daniel Delaney’s fried-chicken concept. Dough: Fany Gerson’s beloved doughnut shop. Hong Kong Street Cart: ramen, honey-sriracha chicken wings, pork buns, and peanut noodles. La Palapa: a “Mexico City-style” restaurant with tacos, quesadillas, and frozen sangria. Maiden Lane: a second location of the East Village restaurant, which sources the highest-quality tinned seafood. Mayhem & Stout: sandwiches featuring slow-braised meats. 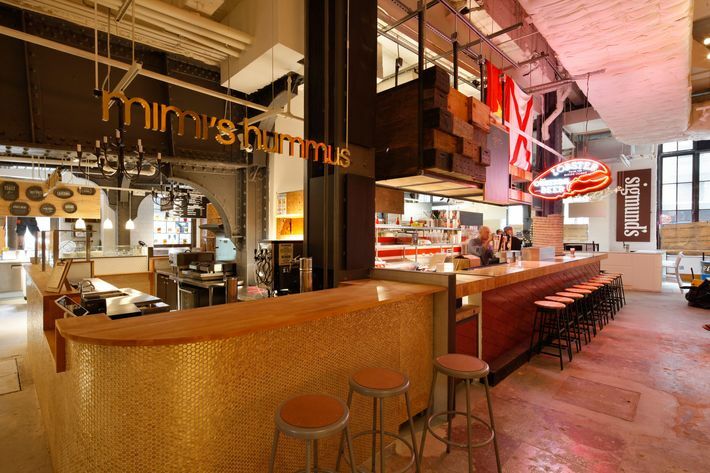 Mimi’s Hummus: a second location of the Ditmas Park Mediterranean restaurant. No. 7 Veggie: a brand-new brand extension of No. 7 Sub, which will serve double-decker broccoli tacos and, of course, a veggie burger. 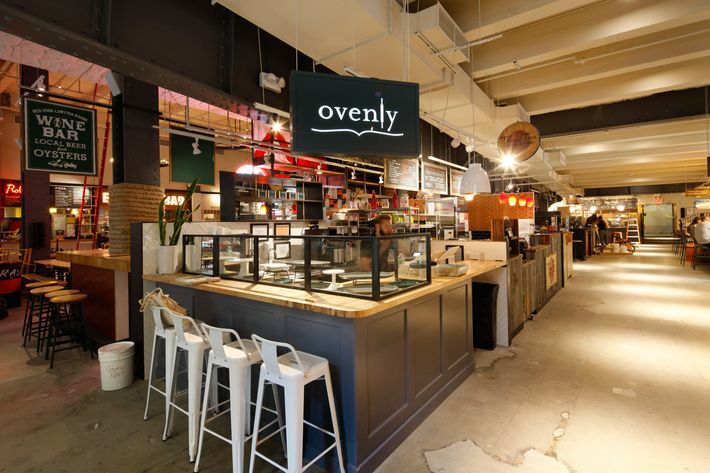 Ovenly: another outlet for the Greenpoint bakery’s excellent (vegan!) salted chocolate-chip cookies, plus cakes and other pastries. Red Hook Lobster Pound: the famed lobster-roll spot will also serve oysters and beer and wine. Roberta’s: It requires no explanation. Sigmund’s: an artisanal pretzel shop. Sips & Bites: specialty toasts, salads, and hot foods — the ideal lunch spot. 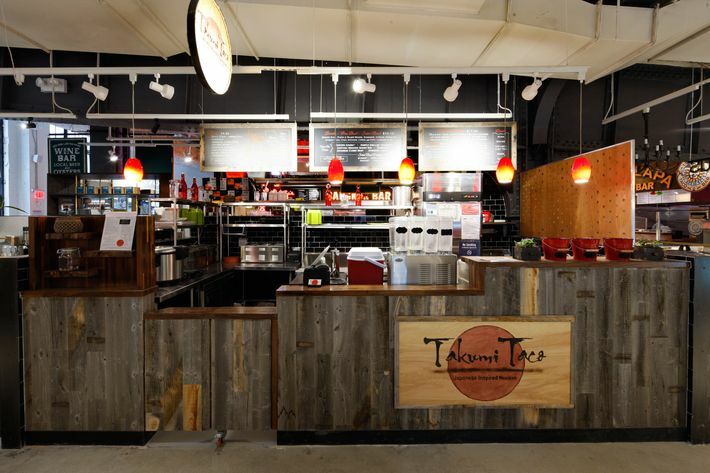 Takumi Taco: a Japanese-meets-Mexican concept that will sell burritos, curry-beef rice bowls, and a signature dish of Japanese nachos. Toby’s Estate: the small-batch Brooklyn roaster. The food hall soft-opens on September 14, and the official opening day is September 17. There will be service Monday through Friday, from 7 a.m. to 9 p.m., and on weekends from 9 a.m. to 5 p.m. Consider this a midtown lunch game changer.